We were lucky enough to receive a game to review. 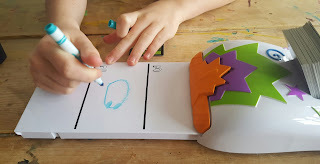 The kids loved it & found it much easier & more entertaining than other drawing games. Its light & portable so could easily be taken with you to entertain the kids whilst waiting for a meal for example. I would throughly recommend. The game retails for approx £19.99 but is on offer at several retailers. 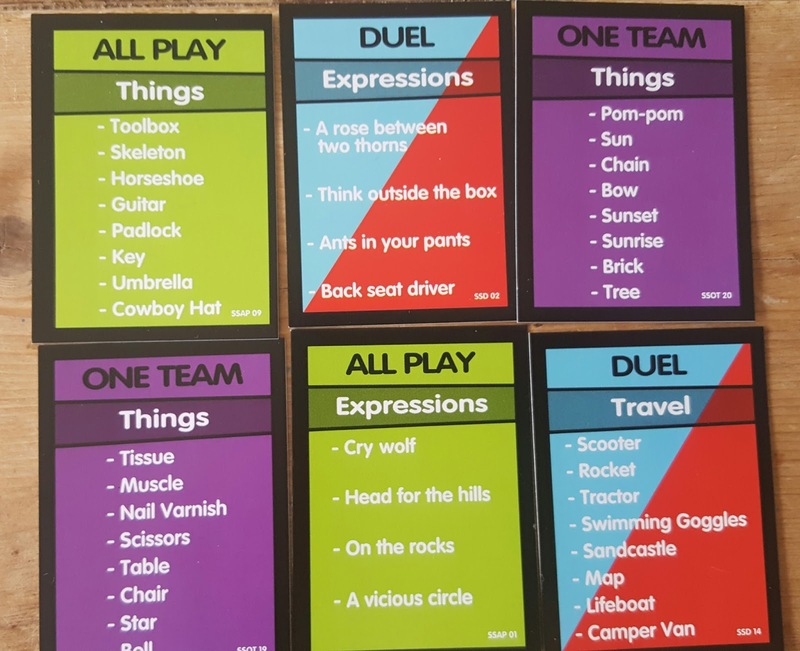 Example of the items to draw. Action packed Scribble Scramble is a frantic team game for 4-8 players aged 6+ where you have to guess it before it disappears! 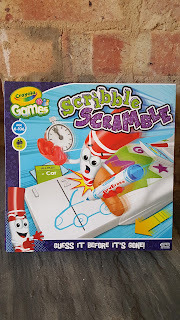 Race against the moving Scribble Scramble unit to decipher your team’s doodle before it disappears! Pick a Scribble card, start in zone 3 on the board and the quicker your team guesses your drawing the more points you get! 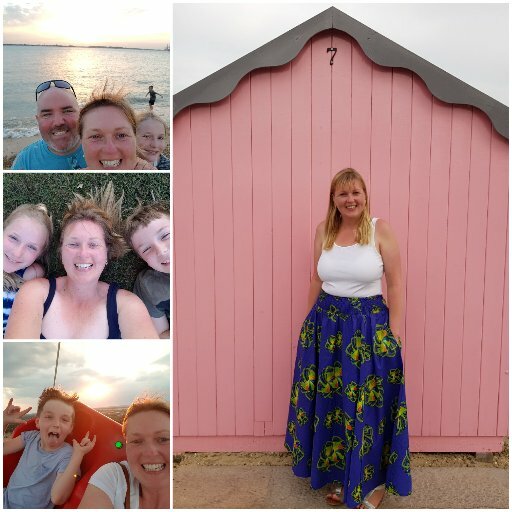 First to 20 points wins! 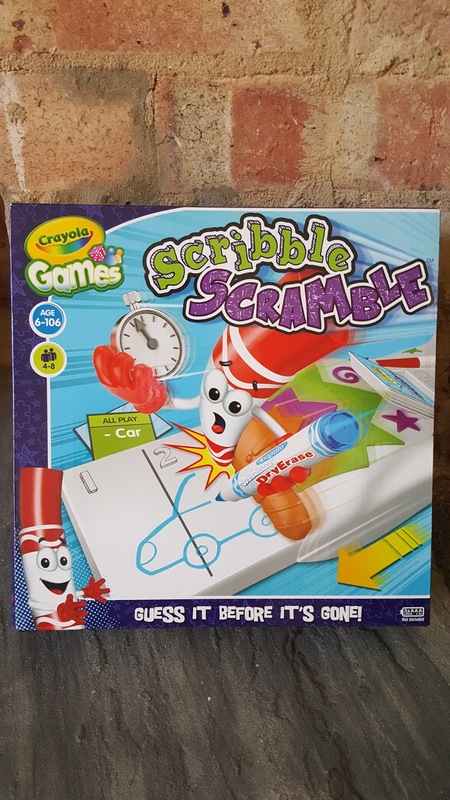 With storage for the 2 x Crayola Dry Erase Pens plus 80 x game cards included within the unit, Scribble Scramble has multiple game play combinations to keep you on your toes! Disclaimer: We were sent this item to review but all opinions are my own. Easy Christmas paper bag stars!